Increase performance and improve air filtration with an S&B performance replacement air filter. 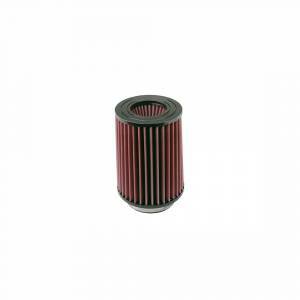 This filter is designed to work in the compatible S&B cold air intake and is covered by a 1,000,000 mile warranty. Beating a paper filter is easy, but overpowering other performance filters can be tough. Thats why S&B Air Filters go the extra mile to use the best materials. Four layers of premium cotton gauze are used in every S&B Air Filters , with more pleats and deeper pleats than any other maker. Its how S&B Air Filters can trap the most dirt and still breathe the best. S&B Air Filters are made to last, too, with premium urethane bindings and seals. they're reusable for life, needing a quick cleaning every 40,000 to 50,000 miles, 3 times longer than when a paper filter gets tossed. Best yet, S&B stands behind your high-performance S&B Air Filter with an incredible 1,000,000-mile warranty.